Anyone with kids will tell you that dinnertime is usually a massive battle. It’s so hard to get them to eat anything some nights that I wonder why I even bother making dinner! This is the dinner dish that my kids most consistently eat. I feel like I’m sitting on a goldmine so I won’t keep this recipe to myself any longer! Oscar polished off TWO bowls of it tonight. Shocking, and completely awesome! Peel and cut up the sweet potatoes. Place in a pot and cover with water. Bring to a boil and then simmer until soft. Drain water and mash with a potato masher. Add coconut cream and salt and set aside. While potatoes are boiling, cut up red onion and carrots and place in a large pot with the coconut oil over medium heat. Cook 5 minutes. Add garlic, lamb, rosemary, and thyme and cook until lamb is no longer pink. Mix in flour and cook for another minute. Add Worcestershire sauce, tomato paste, and peas and stir. 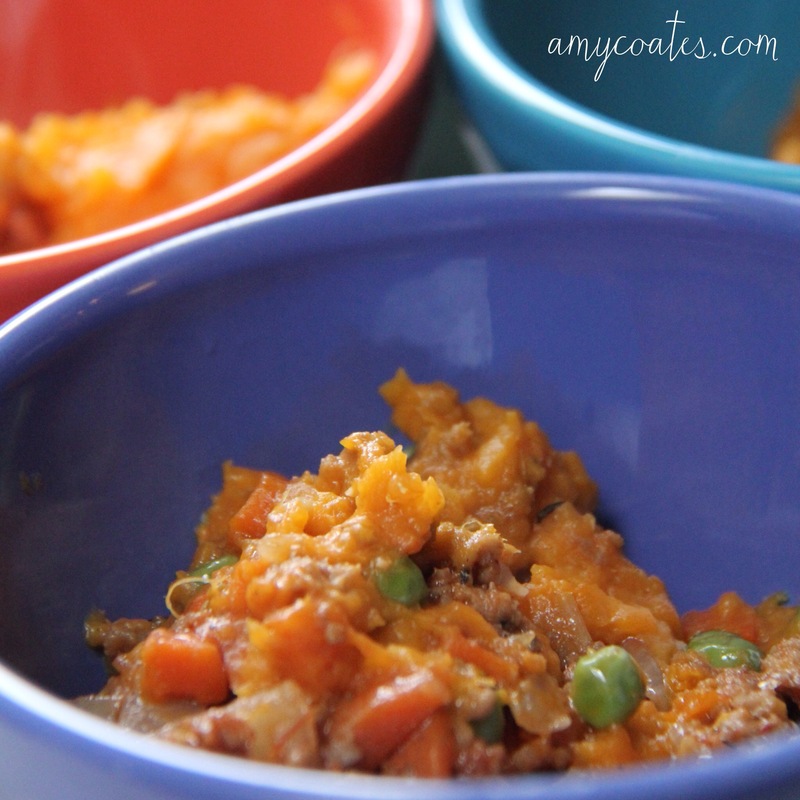 Transfer meat mixture into a large oven safe baking dish and top with sweet potato mixture. Bake at 400 F for 25 minutes.